The FSC® certification guarantees that the products come from responsibly managed forests, hence ensuring environmental, social and economic benefits. FSC®’s standards of forestry management include the protection of water quality, ban the cut of ancient woods, prevent the loss of natural forestry covering and prohibit the use of highly toxic chemicals, which are all aspects that concern the regular forest management system. Fabbio Design has been committed for years to respecting all the applicable laws, regulations, treaties, conventions and ratified international agreements by following practices, procedures and processing techniques that allow the responsible management of the whole journey. In its 20 years of activity, FSC gained a credible and rigorous reputation of forestry certification system. This is the reason why purchasing FSC certified products brings uncountable benefits, both for the businesses and the consumers. The CE labeling is a compulsory procedure for all the products disciplined by a European directive. It has to be carried out by the manufacturers of goods regulated in the European Union, who have to declare the conformity of the product to the safety and health requirements provided by the pertinent European directives or regulations. They can do so through the declaration of conformity or performance for construction products. 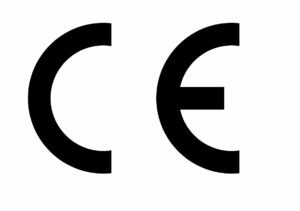 Fabbio Design has always been CE certified. The document contains the intended use of the product (covered by a harmonized standard), the performance characteristics and all elements useful for its traceability (committed, the production batch, etc.). Fabbio Design has been carried this certification on for years. This certification has been assigned to Fabbio Design in 2016 from the leader US institution in the evaluation and certification of energetic efficiency for shutters and windowpanes. The acquisition of the NFRC certification means a lot to us – it is a great success aimed at pushing ourselves more and more inside the American market, in which we want to carry on what we have been doing in the USA for a decade. The surface treatment Activeage, introduced for all the window, door and sliding related products, has reached exceptional anticorrosive standards. They are way beyond the requirements defined by the UNI EN 13126-1 normative and they outclass the range of corrosion resistance measurement indicated by the UNI EN 1670 normative. The tests reached class 5, proving the resistance to saline fog for more than 2000 hours. This conformity label certifies the Tesi Avant and Artech series. These products are certified with a payload of 150 kg (shutter weight) for the door/flap and shutter typologies of windows and French doors. This hardware satisfies the requirements of the QM328: 2013-11 normative in the cited cateogries. 150 kg of payload allow to create large French doors with high-isolation and anti-breaking glass.